Corporate and Social Responsibility principals are at the heart of Toshiba’s strategy and business. Values such as respect for human life, environmental awareness, and compliance with legal requirements are closely integrated into our day-to-day operations as a corporate citizen of planet Earth. To lessen the environmental impact and take action on co2 emissions, Toshiba Air Conditioning in the UK has been a certified CarbonNeutral® division since 2012. To achieve this certification, Toshiba is working with Natural Capital Partners to reduce its greenhouse gas (GHG) emissions in accordance with The CarbonNeutral Protocol, the global standard for carbon neutral certification. The certification involves an annual independent detailed greenhouse gas (GHG) assessment to quantify the total greenhouse gases produced both directly and indirectly by the company’s activities. These include CO2 emissions from travel, waste, water consumption and energy. This is followed by internal reduction measures to further improve resource efficiency and reducing the remaining CO2 emissions to zero through the purchase of carbon offsets. This means that for every one tonne of GHG emissions that Toshiba produces, it purchases a verified carbon offset which guarantees an equivalent amount of GHG emissions is reduced from the atmosphere. For a carbon offset to be credible it must meet essential quality criteria, including proof that it is additional (the reduction in emissions would not have occurred without the carbon finance) and that it will be retired from the carbon market so it cannot be double counted. Wind power is a freely available, infinite natural resource that most of the countries in the world can use to generate electricity. Even conservative estimates think wind could supply 12% of the world’s power by 2030, but today only 1% of the world’s power supply comes from wind energy. Supporting wind power carbon offset projects helps overcome the initial cost of setting up a windfarm, enabling countries and communities to develop using renewable, non-polluting energy rather than increasing fossil fuel consumption. We have chosen to support two wind power projects. 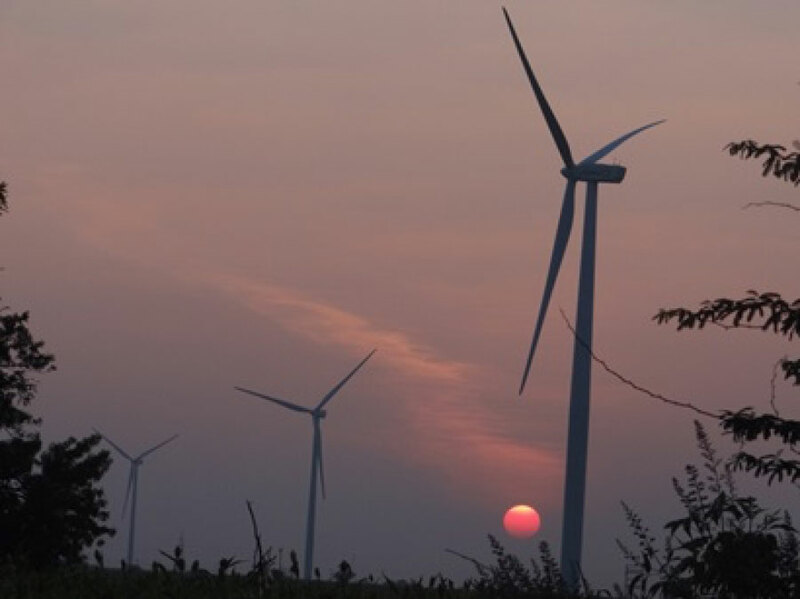 Located in the Sangli District of Maharashtra, India, this wind power project delivers zero emissions renewable electricity to India’s national grid, playing a key role in achieving the country’s 2022 green power targets, while enhancing the local economy and livelihood of residents through the creation of jobs. This project is validated and verified to the Verified Carbon Standard (VCS). 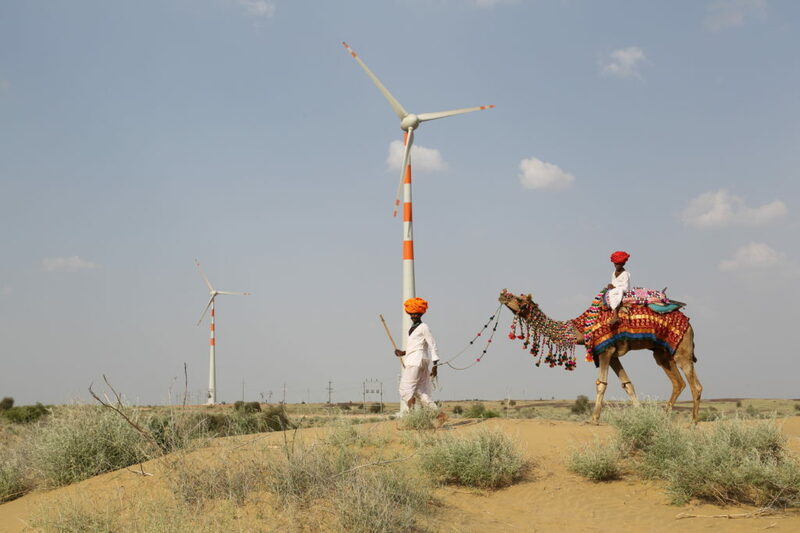 Located across three districts this project delivers clean renewable electricity to India’s national grid displacing electricity which would have otherwise been drawn primarily from fossil fuel power stations. Creating operational and field roles to help boost the local economy. Designed to improve the indoor air quality and living conditions of 100,000 rural households. 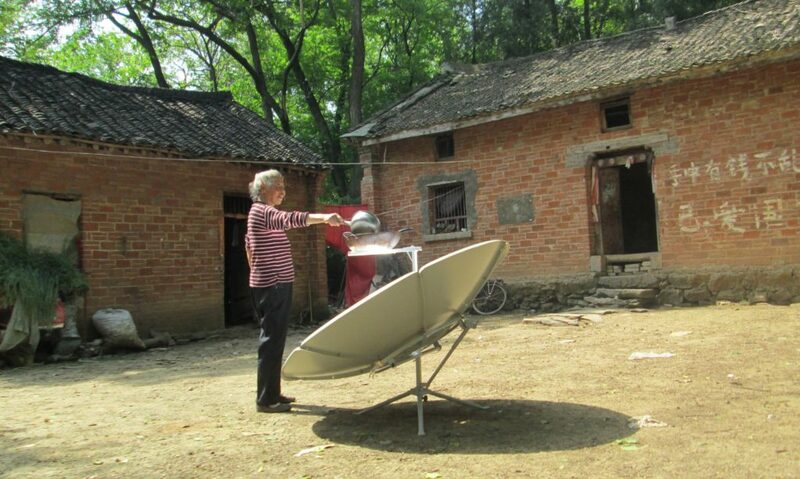 Using solar energy the cooker displaces traditional inefficient coal fired cooking significantly reducing fuel consumption and indoor air pollution. Madagascar is considered to be one of the top five biodiversity hotspots in the world due to more than 75% of all animal and plant species being endemic while less than 10% of its primary vegetation is remaining. The Makira project plays an essential role in biodiversity protection by limiting deforestation in 360,000 hectares (more than twice the size of Greater London) of the Makira forest and working with communities around the forest in a ‘protection zone’ of 320,000 hectares. The project is validated to the Verified Carbon Standard (VCS) and has also achieved Gold Level of the Climate, Community and Biodiversity (CCB) standard, due to its huge biodiversity benefits and its extensive work with communities to assist in adapting to the impacts of climate change. Wind power is a freely available, infinite natural resource that most of the countries in the world can use to generate electricity. Even conservative estimates think wind could supply 12% of the world’s power by 2030, but today only 1% of the world’s power supply comes from wind energy. Supporting wind power carbon offset projects helps overcome the initial cost of setting up a windfarm, enabling countries and communities to develop using renewable, non-polluting energy rather than increasing fossil fuel consumption.Located in the state of Tamil Nadu, India, this project reduces CO2 emissions by displacing electricity which would have otherwise been drawn primarily from fossil fuel power stations; subsequently, the Andipatti Wind Power Project generates 90,000 tonnes of emissions reductions on average per year. Located across six coal mines in the Northeastern province of Liaoning in China, this project prevents the potent greenhouse gas, methane, from being released into the atmosphere. Methane is a by-product of coal formation which is released during mining. At each of the project sites, technology has been installed to capture the CMM and blend it to a concentration suitable for use as a fuel source. This innovative initiative was the first project in China to use CMM as fuel for gas supply. Over half of China’s energy is derived from coal, making it the world’s largest global consumer of this fossil fuel. As a result, approximately 10.6 billion metres3 of CMM is released annually and less than 10% of this is currently piped as gas or used to generate electricity. The Kanungu project in Western Uganda is a small run-of-river hydropower project which reduces emissions by displacing diesel-powered generators that supply the Ugandan electricity grid, generating approximately 29GWh of electricity each year. The additional capacity that this project delivers to the electricity grid is expected to enhance rural access to electricity services and reduce load shedding. During construction of the hydro project, between 100 and 200 people were employed, 30% of whom were skilled workers. During operational periods, 12 people are employed from the local area and staff quarters are provided, offering a space for staff to rest during break periods. Income generation has enabled a number of project employees to invest in agriculture and buy additional land helping the local economy. 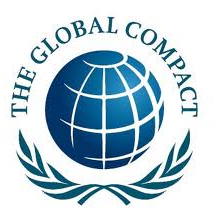 The project is registered with the Clean Development Mechanism (CDM). The Wingate Centre helps support people with learning or physical disabilities through providing gymnastic, educational and recreational facilities for all ages and all levels of disability, offering short break residential accommodation specifically designed and equipped for disabled and special needs schools, voluntary organisations, self help groups and social care adults and children. St Lukes provides care to those with a life limiting illness and supports their families, whenever and wherever they need it.